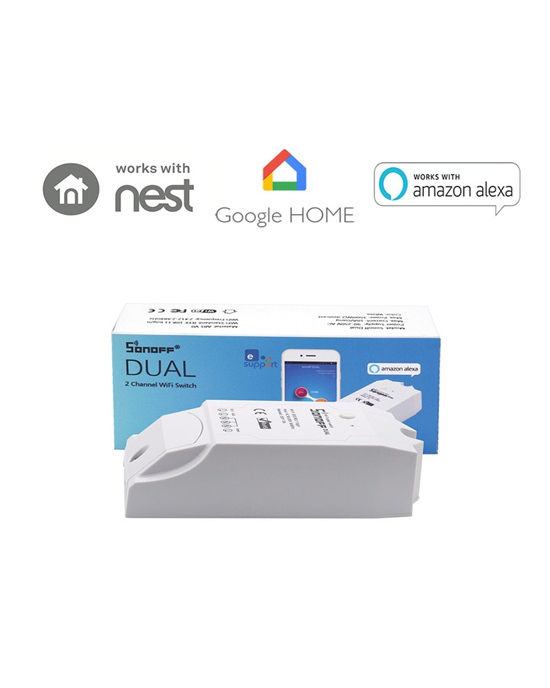 Sonoff Dual is a WiFi-based 2 gang switch that can connect and independently control two connected appliances or lights. This simply means 1 Sonoff Dual control switch equals to 2 Sonoff basic switches! Sonoff Dual 2 gang light switch inherits Sonoff Basic switch’s advantages such as easy installation and operation, quick WiFi access, remote control through APP EweLink.